Peace is not something you wish for. And it’s something you give away. 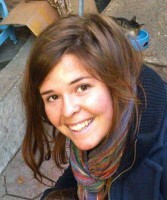 This entry was posted in Politics, Quotes and tagged aid worker, American, hostage, ISIS, Kayla Mueller, peace, politics by Joelle Burnette. Bookmark the permalink.